Use this function to maintain privacy when printing confidential documents on the machine over a shared network. When using Locked Print, it is not possible to print unless a password is entered on the machine's control panel. Your confidential documents will be safe from being viewed by other people. Locked print allows jobs to be sent securely to the printer and held there until you physically arrive at the printer to pick them up. 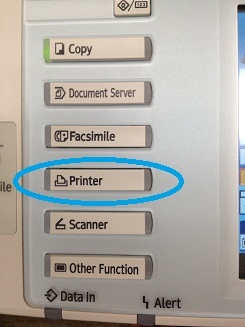 Right-click on the printer that you want to set up, and choose printing preferences. Go to the Detailed Settings tab and select Job Setup under Menu. Change Job Type to Locked Print. Click on Details, and drop down User ID: and choose Windows Login Name from list, a unique Id can also be created but windows login name is preferred. 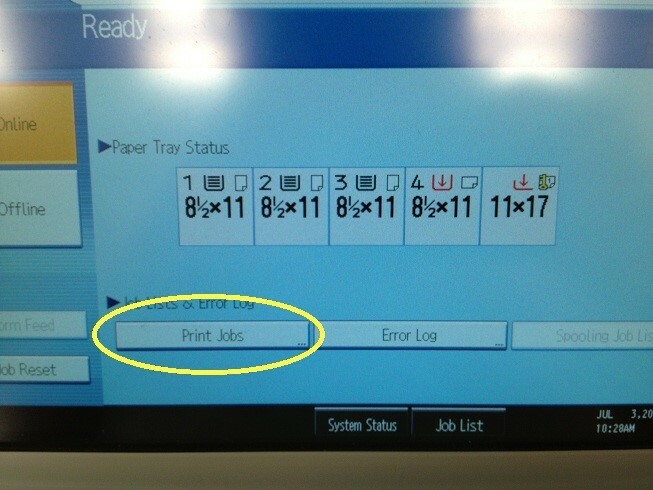 Put in a 4-8 digit number password that you will use at printer to print locked job. To print a locked item that you have sent to the printer, click on the Printer button. Then click on Print Jobs. Click on your print item to select it, and then click print. 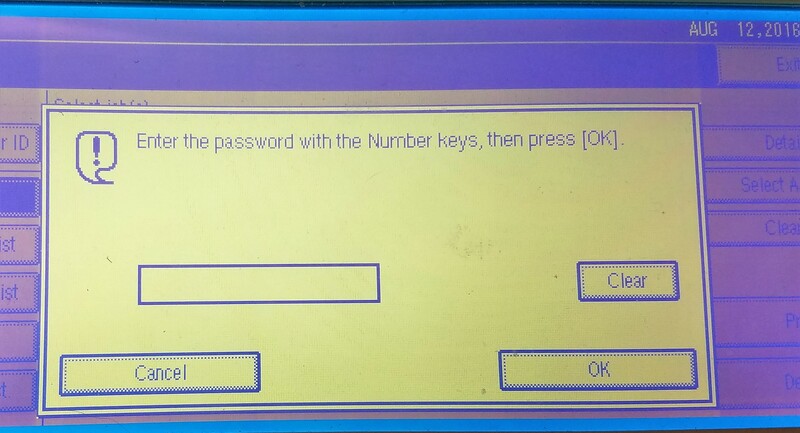 Enter your password you created earlier when prompted. *Printers can only hold so many locked print jobs (depends on the printer), please do not leave or abandon prints as it could potentially prohibit someone else from using this feature. IT and department associates do not know and can't recover" locked feature" passwords, user are responsible for knowing their own password. If forgotten go through process above to create a new password. The secure print feature is an option on most Ricoh/Lanier campus printers, but not all Lanier printers. If this option is not available please submit a helpdesk ticket and LIT will look further into options.